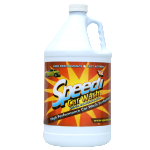 Speedi Car Wash is a highly concentrated car wash that safely removes grime and road film without removing wax protection. This vehicle cleaner is ideal for use with pressure washers and foam brushes. Strong enough to remove heavy road grime while drying to a spot-free finish.